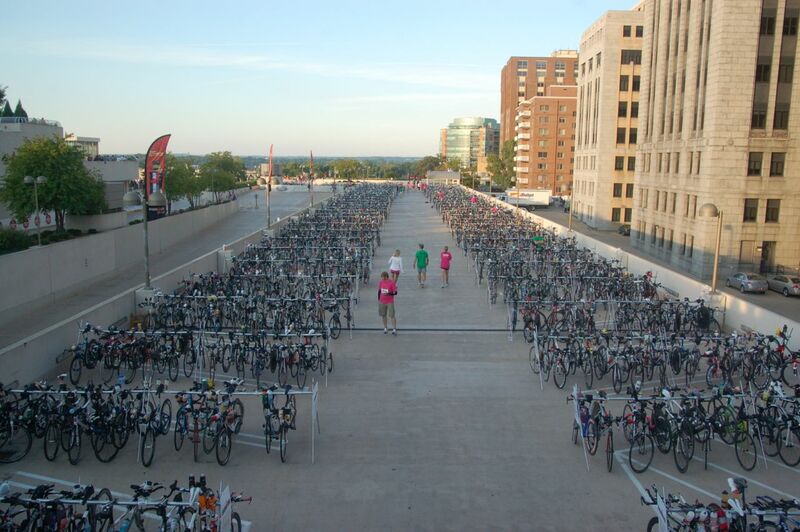 A huge contingent of Endurance Nation athletes is returning to Madison, Wisconsin this weekend to compete. 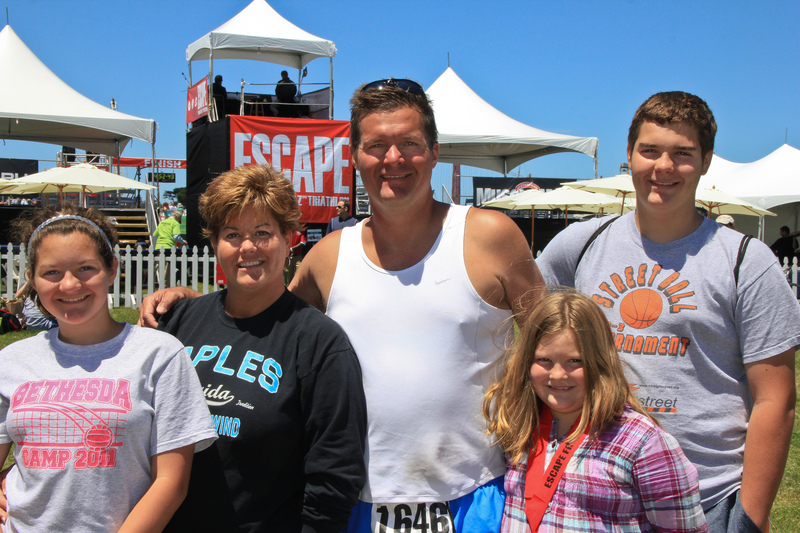 Meet the members of Team Endurance Nation taking on this challenging and beautiful course. I am from St. Louis and this is my third Ironman and second go round at IMMOO. My wife and daughter will once again be my rooting section as I try to better my time again this year. I have learned and improved the past two years working the EN way, so now it’s just time again to flex those muscles! I am excited to compete and meet some more team members. Born and raised in Southwest Suburbs of Chicago I am a later in life athlete. As a kid I was not all that interested in athletics, in my mid-fourties I rediscovered running and went on to complete four marathons and dozens (and dozens) of smaller races. After completing a couple of marathons I set out to continue to challenge myself, the best way I could think was to address another fear of mine -> swimming. In late 2012 I signed up for 2013 Steelhead 70.3 as incentive to learn how to swim. I spent the next 10 months trying to learn how to swim. I took lessons, worked with a coach and was able to swim just well enough to finish a Sprint, Olympic, and Steelhead in 2013. Having thoroughly enjoyed my Steelhead 70.3 experience I decided that I would take a shot at the full Ironman. My race day goals for 2014 IM Wisconsin, plain and simple -> Finish and have fun along the way! I live in Wausau, WI. I have a terrific, supportive wife Jen, and 4 great kids (Allison 8, Sophia 7, Caroline 5, and Andrew 3). 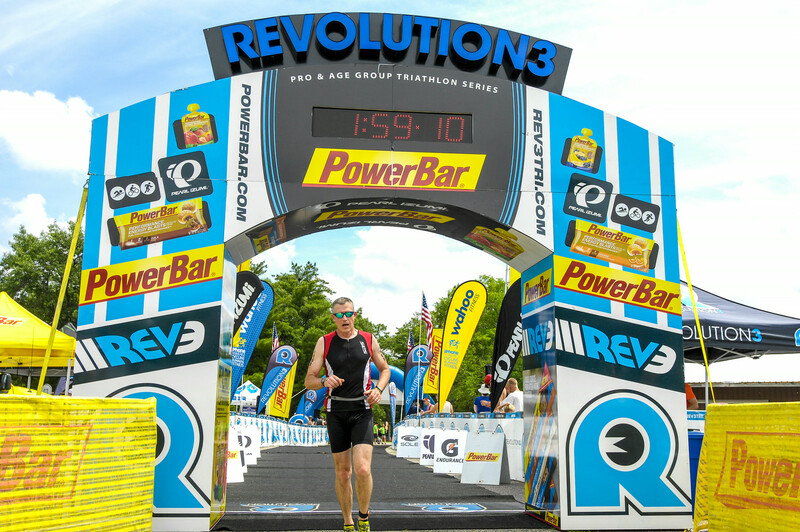 This is my 3rd full season in triathlon, 2nd full season with EN, and my third trip back to IMWI. I love the ironman vibe, particularly in Madison, and look forward to getting out on course and reacquainting with the crazy crowds. Race day goals include building on my experience at the distance, and racing a smart, tough race. I hope to execute well, and finish with a smile. Joe Motz Cincinnati Ohio. 2nd IM first was last yr. also at IMWI. Did that one to see if I could finish an IM (13:30:34). Back this time to see how much improvement I can bring on. My stretch goal is to take an hr. off my overall. Broken down as 1:25 to 1:35Swim 5:50 to 6:10 Bike and 4:25 to 4:35 Run. With simpler more smooth transitions- lost a lot of time here last yr. I have a long history of both running and triathlons, having done my first tri in 1992. I live in the Kansas City area, and many people are surprised that parts of Kansas can be very hilly! IMWI 2014 will be my fifth IM (not counting a DNF at 2012 Lousville) and my third time in Wisconsin. I love this course and have a goal of a strong finish. My plan was to take a year off from IM training in 2014, but my 2013 race was very slow. I’ve been energized by the EN training philosophy and, combining that with my having bought a power meter over the winter, I’m very excited for this year’s race. My swim will be slow, so I will spend the rest of the day passing people on the bike and run! First IM. Very thankful to even be able to participate in this crazy and iconic Wisconsin event. Goal is to finish after executing a smart race plan and to enjoy the experience. 22 years in the Army finds me currently stationed at Joint Base Lewis-McChord, WA, though I call Montana home. This is my 3d year of racing triathlon, and my second full IM, the first being IMCDA in 2013 (12:38:09). While I’d like to say my goal on race day is to just have the best race I can, and while it is – main goal here for me is to have a SMART bike, I am also really shooting to go under 12 hours as well. Goals are to go about 65-68 on the swim, <6:15 on the bike, and <4:15 on the run, though I think I am capable of going sub 4 on a cool day. Have lost 25-30 lbs leading up to the race, and feeling fast and light at around 183ish. Not married, no kids other than my faithful Lab and crazy cat. Lifetime runner, not a bad swimmer, worse than most cyclist. Riding a Cervelo P2, renting disc/808 combo, not a power meter owner yet. Looking forward to seeing all the EN peeps out there, and knowing that there is a team watching from homes across the world is a great motivator to execute the plan. Andy Fenton – living in the Madison area for the last 9 years, but originally from the UK. Really got into longer distance triathlon about 5 years ago, because I wanted a break up the monotony of just running. 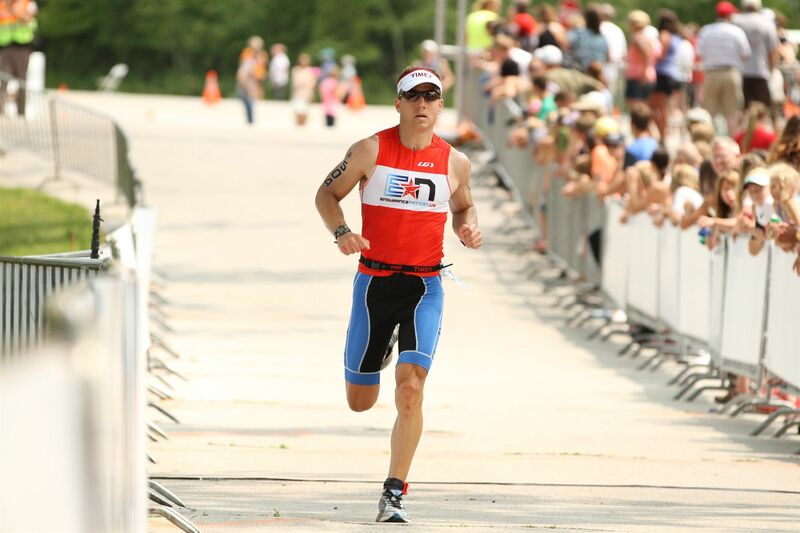 Raced IMWI back in 2011 under the EN protocol and had a great race, so my goal for this year is to repeat that! I’m married to Kate and have 3 young kids 6, 3 and 2, so fitting in the training can sometimes be a challenge, but overall I’m happy with my preparation. As added impetus, my sister is also competing …she lives in Australia and wanted to mark the milestone of turning 50, by competing in an IM with her little brother. We won’t race together, but I’m sure we’ll see each other out on course ….hopefully I will be in front otherwise I’ll never hear the end of it! 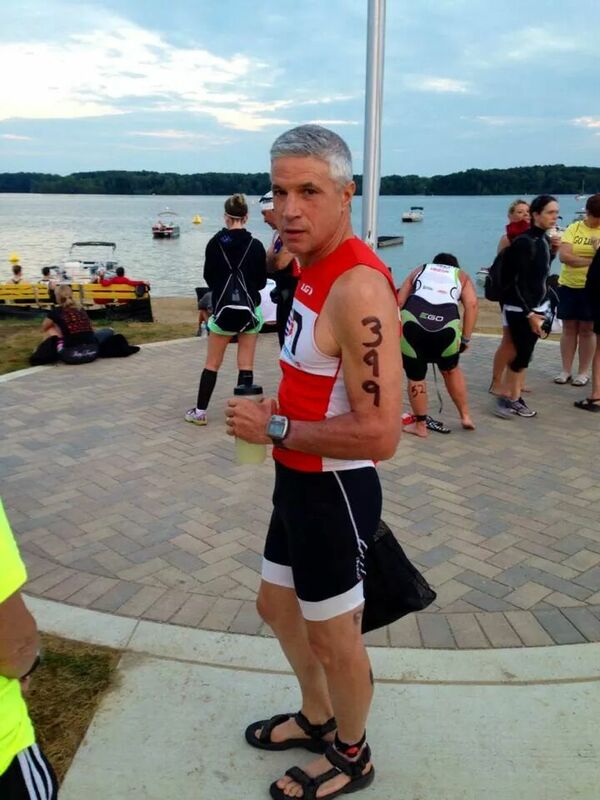 Looking forward to the huge EN support on course…..
Mark Forsythe checking in from beautiful central Indiana! I have been riding distance events and participating in triathlons for the last 10 years primarily to maintain fitness. The events keep me motivated and focused on a goal. This will be my second Ironman distance race, completed Louisville in 2010. I like the destination events, try to take the family when possible and make a trip out it. Have done rides in Death Valley, the Death Ride near Tahoe and Escape from Alcatraz. I am really excited about the Wisconsin event, it has such a great reputation for a fun event! My wife, and biggest fan, Monica will be attending also. Once she figures out he EN logo – she will be cheering you all on throughout the day! 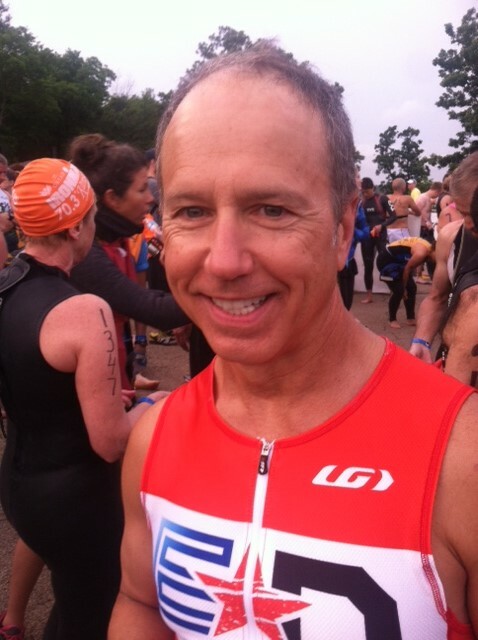 William was drawn into triathlon after watching his oldest son Chris compete in a local kids tri about 8 years ago. He entered a local sprint race, figuring he was an ok runner and he grew up swimming…and hey, you never forget how to ride your bike. 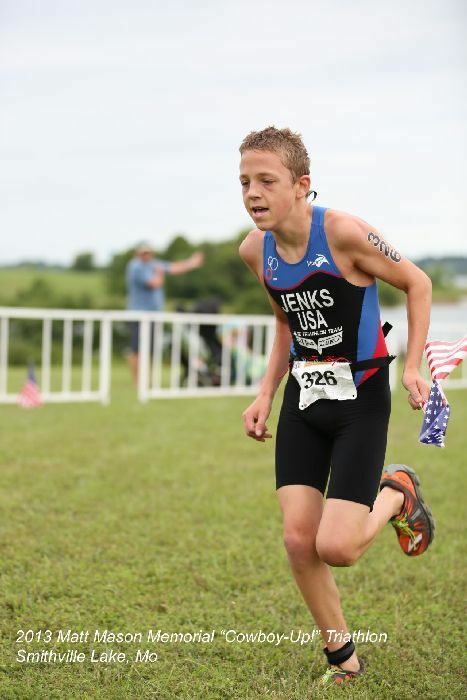 He came in 19th out of 19 in his age group that day, but he got hooked. 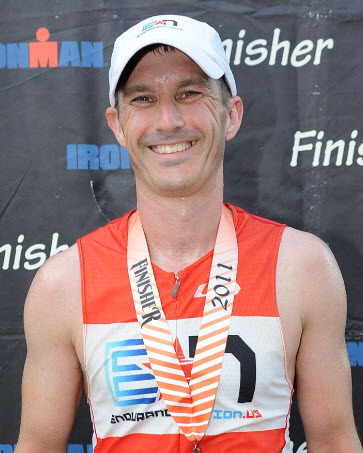 Since then, he has competed in numerous 70.3 races and two previous IM WI. 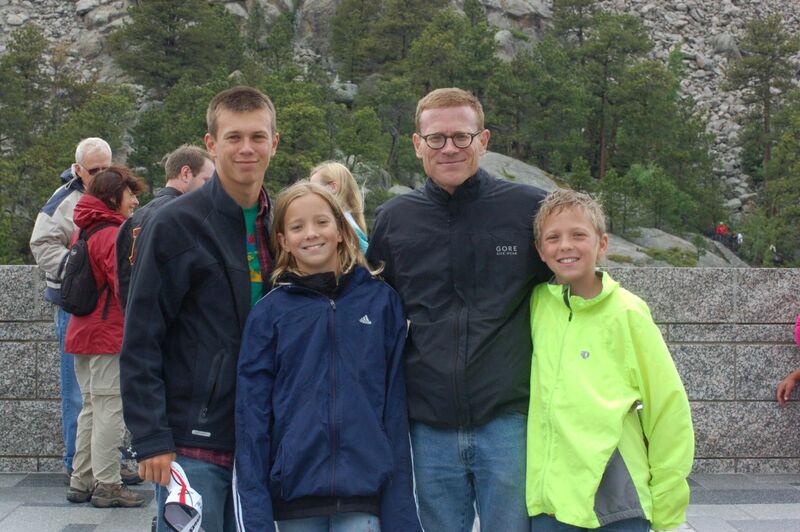 He and Chris did the EN IM WI camp together in 2011 and his best triathlon memories are of racing with each of his three children: Chris, Olivia, and Timothy. William, with the support of his wife and IM-Sherpa Cynthia, will be racing more somberly this time — in memory of and in respect of the values of his son Tim, who died this summer while pursuing their mutual love of training and racing. First Ironman! Great swimmer, decent cyclist and crappy runner. Race goal – 1 hour swim, 6:15 bike, hope and pray on run, haha. Just want to finish feeling good and not like I’m going to die. Regardless of time, I will PR, haha. Hoping I don’t catch the cold running through my house and it doesn’t rain or isn’t cold on race day – I like the heat! I am from Eau Claire, WI. 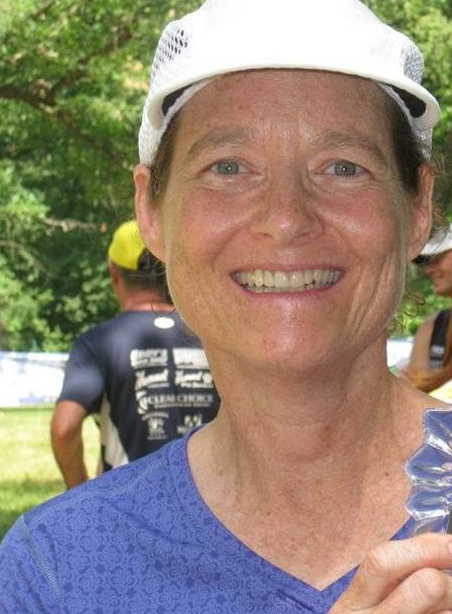 I started in triathlon in 1987 with a fun team canoe, run, bike event my senior year at St. John’s University, and then did some sprint distance races when I was stationed in Arizona. A few years later, an Army job interview at Ft. Bragg ended with a question about my run time and I was hired with the understanding that I would do the run portion of a battalion triathlon for the commander’s team! Since then, I’ve done numerous sprint, and Oly distance races and a few half-distance, but always had it in my head that I wanted to do a full. This year, as I approach 50, I decided it was time. My decision to do this the Endurance Nation way has made this a fun, productive journey. I am in the best physical condition I’ve been in since I left the Army in 1994 and yet had time to honor all my commitments to work and family, including coaching my son’s basketball team, assistant coaching the baseball team, and going on family vacations. As this is my first Ironman, I am focusing on racing the EN way, executing my race plan and finishing with a respectable first IM time, absorbing all the EN Mojo I can along the way, and hearing the words “you are an Ironman!” ring in my ears! I am from Pleasanton, CA *San Francisco Bay Area. I started this sport in my 40s. I am a mom of a 17-year old son, and married 23 years in October. I am a software sales rep. This is my 5th Ironman. My goal this time around is to enjoy the experience and finish.